The popularity of Gold Coast high-rise gardens is increasing. With these green additions, there is the potential to change our cityscapes. 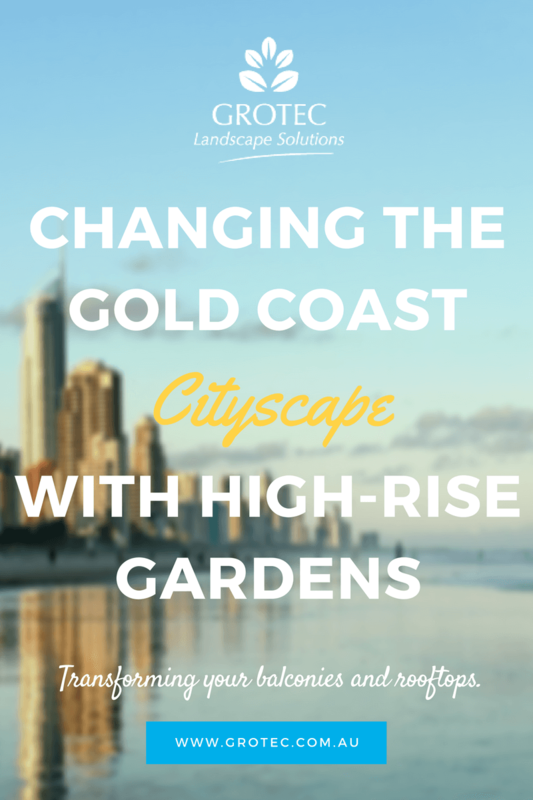 The creation of Gold Coast high-rise gardens for roof tops or balconies will need advice on regulations. There are two types of roof top gardens – roof landscaped, or container gardens, both of which need to be approved by local councils as a check that the roof can hold the weight of the completed garden, and there is safe and stable access. Roof top high-rise gardens can create an urban oasis, and might include infinity pools, fireplaces, hot tubs, as well as providing screening to reduce the effect of the wind – trellis or latticed framework supporting the tough Silky Guinea flower (Hibbertia scandens) is an example. A container garden on the roof top relies on plants in heavy, wind resistant glazed pots, the glazing being less prone to drying out, containing low, mound forming varieties such as agapanthus, agaves, coastal rosemary, and dwarf oleander to name a few. 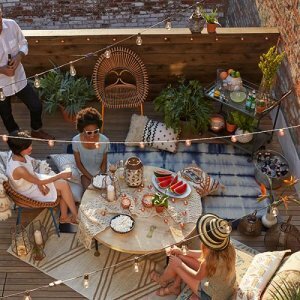 A Gold Coast high-rise garden on the roof- top or on balconies will beautify the building. Balcony gardens should also be planted with wind resistant plants, always keeping in mind that the garden will be kept low so it does not block the view, particularly from the beachfront apartments that are built along the Gold Coast. There are an increasing number of Gold Coast high rise gardens that include living walls on the balconies, and are planted with wind resistant plants that will absorb dust and create a micro-climate to filter the sunlight, as well as decrease storm water runoff and insulate the building. 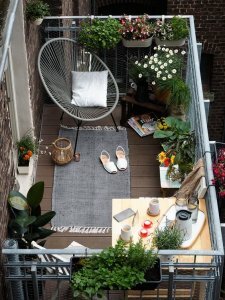 The pots you use on the balcony can be for either flowers or vegetables, or a combination of both, and is an excellent way to grow fresh herbs, provided there is some wind protection and sufficient sunlight during the day, remembering that shadows will be created by neighbouring buildings during the day. For your Gold Coast high-rise garden, do it once and do it well with Grotec!